Parental Alienation Syndrome (abbreviated as PAS) is a term coined by Richard A. Gardner in the early 1980s to refer to what he describes as a disorder in which a child, on an ongoing basis, belittles and insults one parent without justification, due to a combination of factors, including indoctrination by the other parent (almost exclusively as part of a child custody dispute) and the child's own attempts to denigrate the target parent. – Naïve alienators are parents who are passive about the children's relationship with the other parent but will occasionally do or say something that can alienate. All parents will occasionally be naïve alienators. – Active alienators also know better than to alienate, but their intense hurt or anger causes them to impulsively lose control over their behavior or what they say. Later, they may feel very guilty about how they behaved. 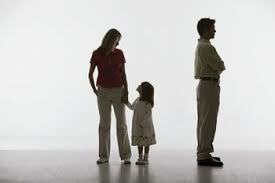 - Obsessed alienators have a fervent cause to destroy the targeted parent. Frequently a parent can be a blend between two types of alienators, usually a combination between the naïve and active alienator. Rarely does the obsessed alienator have enough self-control or insight to blend with the other types. These three patterns of alienating behaviors are not intended to be used as a diagnosis. The American Psychiatric Association deemed it not necessary to include Parental Alienation Syndrome in their Diagnostic and Statistical Manual of Mental Disorders (DSM–5). The result is that attorneys commonly utilize this as an easy way out: PAS doesn’t exist because it’s not in DSM-5.